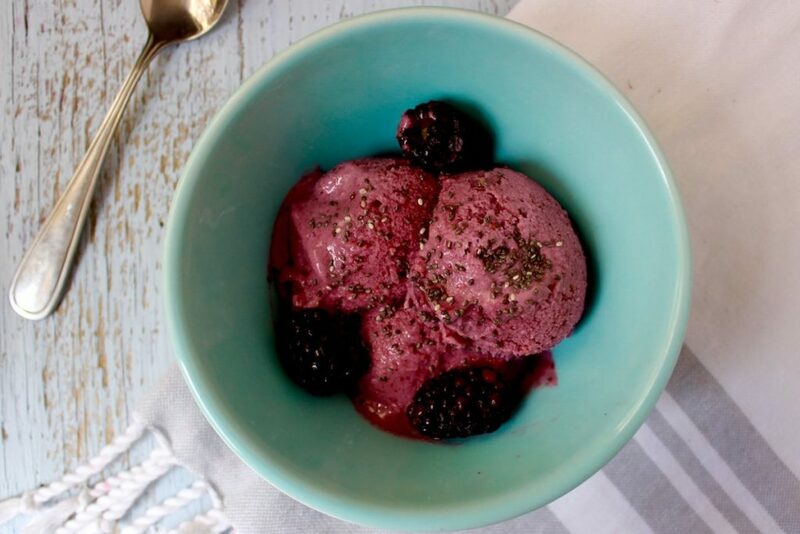 This week we whipped up this creamy no-churn blackberry coconut ice cream. After months of rain, fog, and snow, I got way too excited when it hit sunny 70’s in NYC. This ice cream symbolizes my excitement about this beautiful warmth and sun that hit us this week. It came out so good that I can’t wait to create more varieties for you all, especially with summer right around the corner. 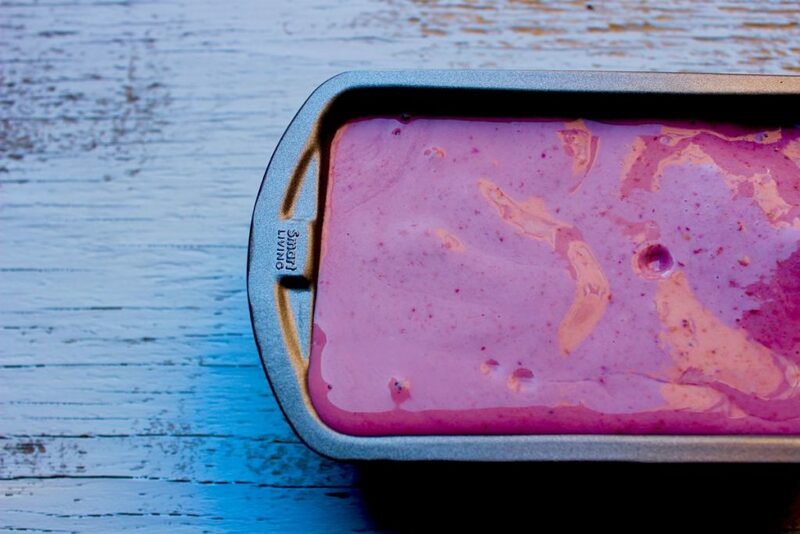 I don’t have an ice-cream maker and so this was made in my NutriBullet in 3 easy steps. First you want to chill the full-fat coconut milk for at least 2 hours in the refrigerator. Overnight is even better. 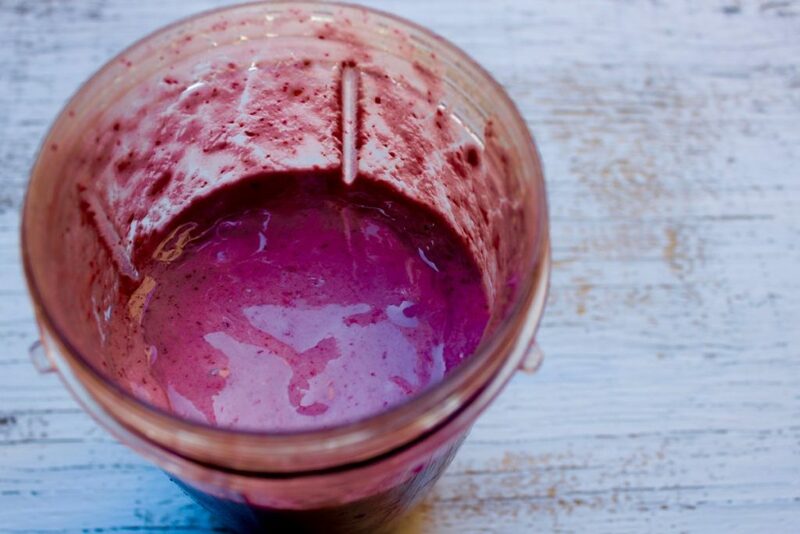 Next you’ll blend your frozen fruit with the chilled coconut milk. All of the fruit I used was fresh, and so I froze them overnight and then dropped them into the blender. If going this route, make sure you are freezing ripened fruit (no green bananas please!) The sugars naturally produced from the ripening process provide all the sweetness you’ll need for this recipe. You can also just buy the frozen fruit and skip everything I just told you. 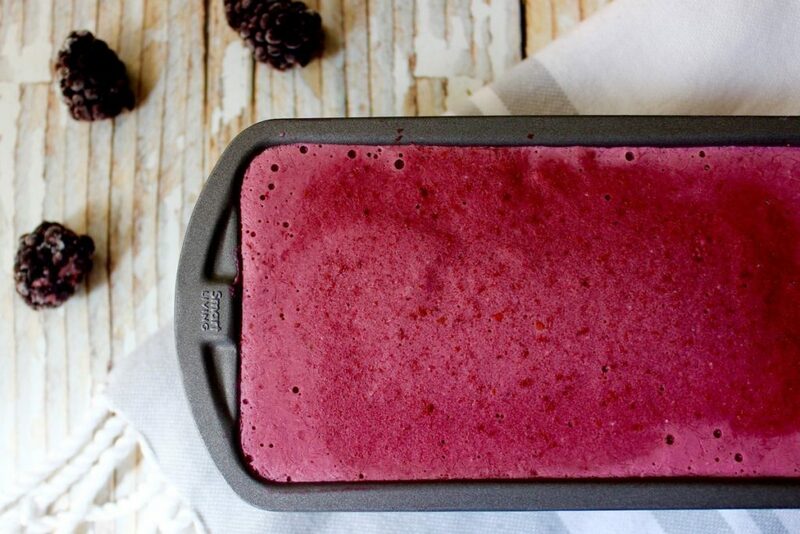 After the ingredients have been blended, you’ll be pouring them into a freezer container. 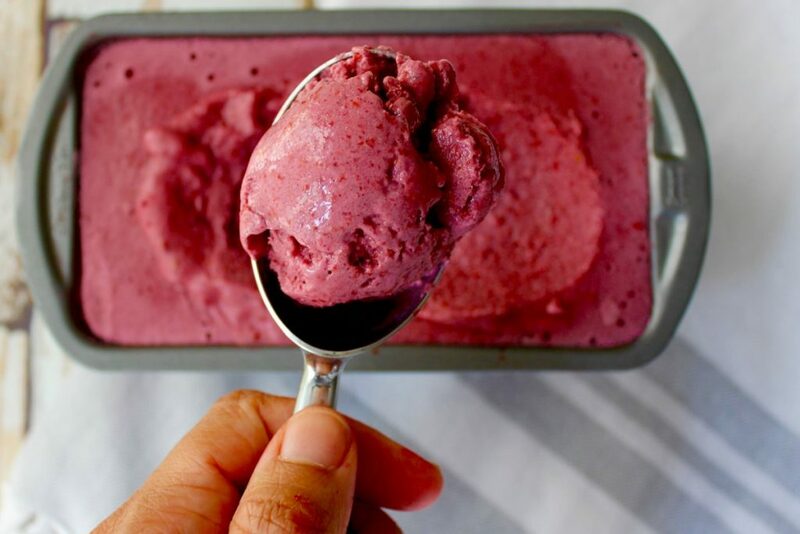 Leave the ice cream in the freezer for 2-3 hours, or until the ice cream has hardened, but can still be easily scooped. This ice cream is best when enjoyed fresh, but if you want to go ahead and store it, that’s an option too. It’s good for up to 1 week in the freezer. Just make sure that when you’re ready to enjoy, you leave it out for 20 minutes so it can soften up for scooping. Scoop the ice cream into a bowl and enjoy! My mouth is watering! I love how easy it is to create such a wonderful treat! Thanks for sharing! Im allergic to banana – can I leave it out or is there an alternative? You can try peeled frozen peaches, but it may affect the texture!